The Mod Configuration Menu- http://www.nexusmods.com/newvegas/mods/42507/? Thank you for watching! Feel free to leave any feedback in the comments section! This video will discuss what mod manager to use depending on your needs and preferences. Do you want to start using Mod Organizer to mod your Fallout: New Vegas game? This video might be for you. This video is for people who are not total beginners with regards modding Fallout: New Vegas (or similar game) and have some knowledge of Mod Organizer (ie perhaps have watched my previous series). 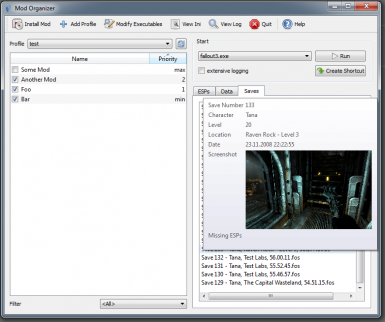 The basics of installing Mod Organizer for use with Fallout New Vegas. Topics covered will include using a fresh install, installation process, and basics of configuration. Mod Organizer on Nexus: http://www.nexusmods.com/skyrim/mods/1334/? For a couple of series of excellent videos on Mod Organizer Useage, I will refer you to the Youtube Channels for Gopher and Gamerpoets.